Ideal for use on young or nervous animals, as the Clipperman Joust Trimmer gives off low noise and low vibration. The two rechargeable Li-Ion batteries offers up to 3.5 hours run time per battery and each take 1.5 hours charge time. The 12V battery powered trimmer is comparable to 30W mains power with a cutting speed of 2500rpm. The Clipperman Joust Trimmer is suitable for trimming fine to normal hair on horses, show cattle and for dog coats. 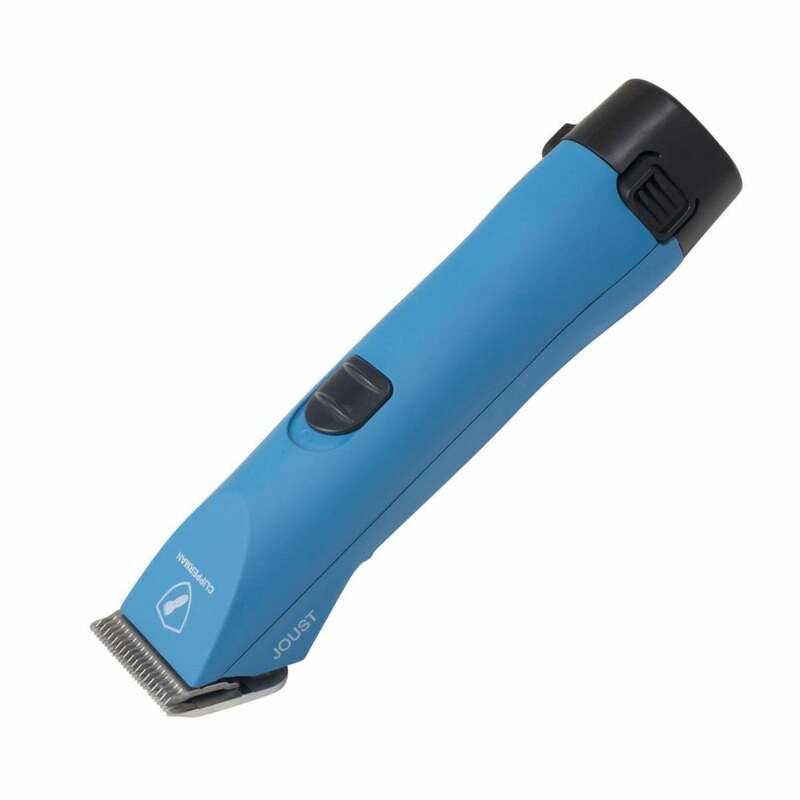 The Joust Trimmer comes with a sturdy case; a battery charger; clipper oil; cleaning brush; an A5#10 blade; an A5#10W blade; Four blade combs offering cut length of 3mm; 6mm; 9mm or 12mm when used with the A5#10 blade and an Instruction manual.